If you would like to pay by instalments, the minimum subscription term is 12 months, and we charge a handling fee of 10%. Our apologies for this, but it does not even cover the cost of the extra bookkeeping involved. 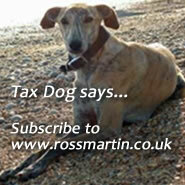 If an instalment is late or missed there will be a catch up charge of £39 + VAT if we have to chase you for payment. Please email us your name and we will submit you details via GoCardless (our preferred option). Alternatively you can pay via a card or Paypal. Multi-user prices available on request. When you subscribe we will grant a user licence to use the full version of this website. Once your payment has been received you will be given a login to unlock the site. In making payment, you are indicating that you have read and are in agreement with our terms and conditions.